Even the big names are coming up with their own idle clicker games. 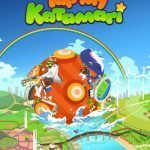 Bandai Namco’s mobile title, Tap My Katamari, promises a new way to play Katamari in this spin-off clicker game for iOS and Android devices. Being the Prince in the in-game world, it is your job to restore the universe to its glory, and all you have to do in order to do this is to tap, tap, tap. You’ve been given the titular Katamari, and if you’re not familiar with this, this item is a magical ball that attracts any object to stick to it, and it is your objective to grow this small ball into a star, thereby restoring the universe. Bandai Namco makes sure to specify that this is an “incremental” game, and maybe even a companion of sorts to the Katamari games you may be more familiar with. 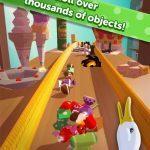 Now, if you need some help growing your Katamari into a giant-sized object, attracting giant squids and spaceships, then we would advise you to check out our extended list of Tap My Katamari tips, tricks and cheats, as it comes with all the tips you need to help you with that. Also, if you want to read our previous strategy guide for this game, please click here. We shall talk about the resetting process a bit later, but when this happens, or when you’re just starting your game, your upgrades should focus on the Prince, meaning the character you control, and the character who pushes the Katamari. By upgrading your Prince, or upgrading his taps as a result, you will be covering a greater distance per tap, and you should definitely focus on distance in the early goings. The Cousins, whom we shall be talking about further in depth in a little while, are important, but as the expression goes, first things first. Although you’ll be doing a lot of frantic tapping and would thusly need to upgrade your taps, the prince has even more value in the long run. The Cousins will be helping out in dealing damage and covering more distance, but the Prince will be the most valuable player, so to say, when playing the Timed Attack Challenges. The Cousins, powerful as they may be, might find themselves overmatched in these challenges, so step up to the plate and do most of the work during those timed attacks. When fighting in the Timed Attack, your Prince has a couple of simple, yet effective special skills which he can use – Charge ‘n’ Roll and Magnetic Heart. The first of these skills, while it might sound extremely simple and drab in nature, is a surprisingly powerful skill, and would, in fact, help you win most Timed Attack stages. Use Charge ‘n’ Roll only when needed, as there are cool-down times involved for those special skills. You may also try completing the Timed Attack without using your special skills, because those skills are only meant to take you out of a tight situation, but shouldn’t be the be-all and end-all of your game plan. Although the game’s most obvious upgrade is the tap upgrade, your upgrades do not begin and end on that alone. That means that even if you’ve already upgraded your taps, you should tap on your screen with as many fingers as possible – instead of contenting yourself with one finger, try two, three, or even four, five, or six, as long as your fingers can fit inside the screen. This rapid-fire tapping with multiple fingers works especially well when you’re facing boss characters, so keep on tapping with as many fingers as possible, and don’t let up just because you’ve made an upgrade. Aside from upgrading your taps and tapping with multiple fingers, it’s also important early on to hire your Cousins. Why should you do this, and who are those Cousins we referred to earlier in this guide? Consider your in-game Cousins as helpers of sorts who will roll the Katamari automatically while you’re in the game, and especially if you’re currently not playing. While doing that, they will earn you coins, so you can always stop playing for a couple of hours, return to action, collect your coins, and watch a video to double the amount of coins you earned while out. Money rolls in faster with your Cousins around, so make sure to hire them. 6. How Else Can You Earn More Coins? Aside from doubling your away bonus with some ad videos, you can also hit the mushroom icon, then hit the Coin Fever button once you’re there. This will allow you to watch another ad video, but this time, it will allow you to double your coins for a good four hours straight. Once the four-hour period is complete, you can always return to that same menu, hit Coin Fever, and repeat the process and keep doubling your earnings. 7. How Does The Resetting / Star Mechanic Work In Brief? You may be curious about how resetting in this game works. Basically, you’ll be able to reset your game, trade certain commodities, once your prince gets to a specific point in the game, for stars. Think of this as the equivalent of “prestiging” in other idle clickers. Stars pretty much give you a bonus and allow you to buy some of the game’s premium items, but there is a catch to acquiring them. We did say that you’ll have to trade in something, and in this case, it would be all of your cousins, complete with their skills. (There is an exception to this, and we’ll discuss that in a bit.) The good thing about this, though, is that the star bonus will allow you to quickly reacquire your cousins later on in the game. 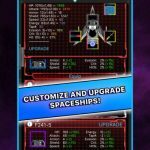 At certain levels, your Cousins will gain themselves some new special skills – this would take place once they reach level 10, level 50, level 100, level 200, and so forth, and the skills will keep on getting better as they keep hitting more level milestones. Usually this would mean an increased chance of a critical hit, or a farther distance per tap of the Katamari. In any case, it will be all for your benefit, so watch out for those milestone levels and leverage your Cousins’ special skills, even if they are assigned randomly. As an additional tip in related to the one above, you might be tempted to use your candy to change your Cousins’ special abilities, should you be unsatisfied with the ones you got. Remember what we told you earlier – when your Prince “prestiges” in exchange for stars, your Cousins will lose their skills anyway. 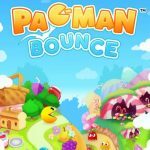 The only exception to this rule is the Special Cousins, who would cost candy to unlock, but with an advantage over common Cousins – they won’t be lost, and neither would their skills, once you reset your game. Your Candy is your premium currency, so put it to good use. When talking about your Cousins, you should also make sure you’ve got just the right balance between unlocking new ones and upgrading existing ones. Keeping multiple Cousins at level 1 is not a good thing, but neither is unlocking only one of them and spamming that Cousin with upgrades. Once you reach a certain stage in the game, you will be able to unlock goals, which are also known as Fan Requests. Keep on completing those goals, and work on them as soon as possible, as you can earn some free candy. New goals become available every eight hours, and you might want to keep in mind that they are quite difficult. Combine this long wait time and the difficulty level and you may be tempted to use you candy to get new or easier goals faster. But as we said above, your candy should only be spent on your Special Cousins, may it be unlocking new ones or leveling them up. If you want to make your characters (your Prince and his cousins) more powerful, while making a bigger Katamari that could cover more ground than you did the last time, it’s advisable that you reset your game as frequently as possible. The more stars you earn from your reset, the better, but adding to what we told you earlier, resets can be done when your Prince hits Level 600. Each reset, restart, or prestige (whatever you prefer to call it) lets you keep the presents you buy with your stars, as well as the Special Cousins, so there is indeed a very good tradeoff to sacrificing your standard Cousins, all their skills, and everything else you’d accomplished prior to the reset.